To make calls over VoIP, you can either use a special VoIP phone, a regular phone connected to a special VoIP adapter, or a computer or smartphone. The way it works – a VoIP service converts your voice into a digital signal that travels over the Internet, the same way a telephone converts your voice into an analog signal. If you’re calling a regular phone number over VoIP, the digital signal will be converted back into a phone signal. Running VoIP off of a computer or mobile device is even more common. You’ve probably used one or more VoIP applications before without even realizing it. Skype, for example, is a VoIP application that uses the internet to make phone and video calls. Others like GoToMeeting, WebEx and Citrix Online are all services that allow you to make phone or video calls or send text messages using the internet instead of your phone carrier. Because there are so many wireless hotspots available in airports, cafes, and parks, you can often make calls from anywhere over the internet using your laptop or smartphone without needing to have a cell signal. This can be especially useful in basements or large office buildings, where there may be poor cell reception inside. If you’re using a computer, all you’ll need to use VoIP is a VoIP service app and a inexpensive webcam or microphone. Many laptops have these built in already. If you are using a special VoIP phone, you can plug directly into your broadband internet connection and use it just like you would a regular phone. VoIP is just a low-cost way to make phone calls over the internet. It can be done using any laptop, smartphone, special VoIP phone system, or a traditional, premise-based system using an adapter. 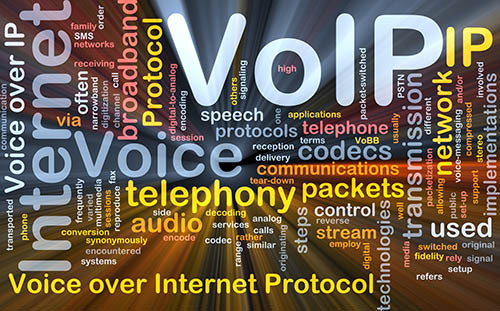 In our next blog, we will discuss some of the features of VoIP.